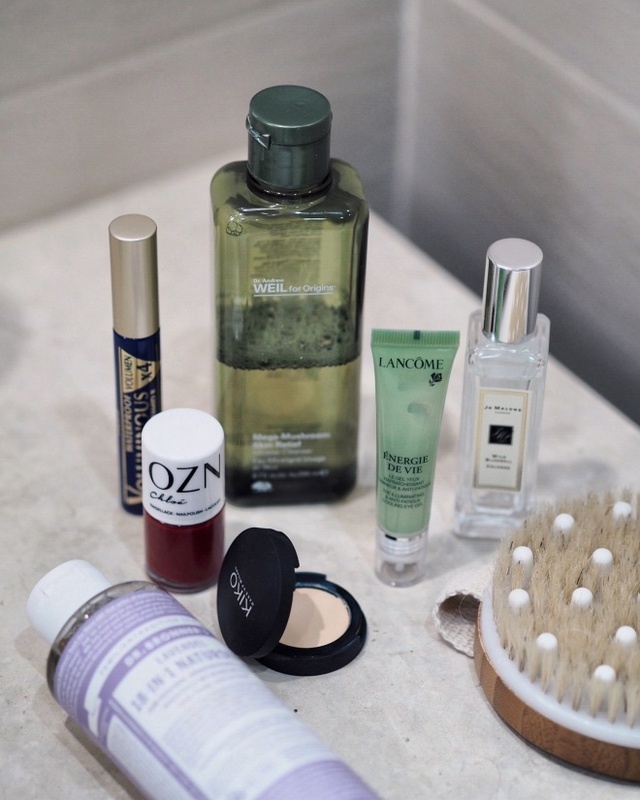 When it comes to travel I try to minimize the total amount of beauty products I take with me to the bare essentials. This is an almost impossible task for me as I am a self-declared cream addict. However, I sorted out the eight products I simply could not travel without (except sunscreen – do not forget your sunscreen). One should not travel without a good all-in-one cleanser and for sensitive skin reasons my first choice is a non-irritating micellar water. If you’re following me along, you know I cannot live without it. For our trip to Tuscany I brought the MEGA-MUSHROOM SKIN RELIEF MICELLAR CLEANSER by Origins which is very soothing and light because of a potent herbal mix and reishi.. Other favorites which act just as well and are a little less pricey: Bioderma (all-time winner) and Avène. I also enjoy the natural cosmetics version by Lavera. 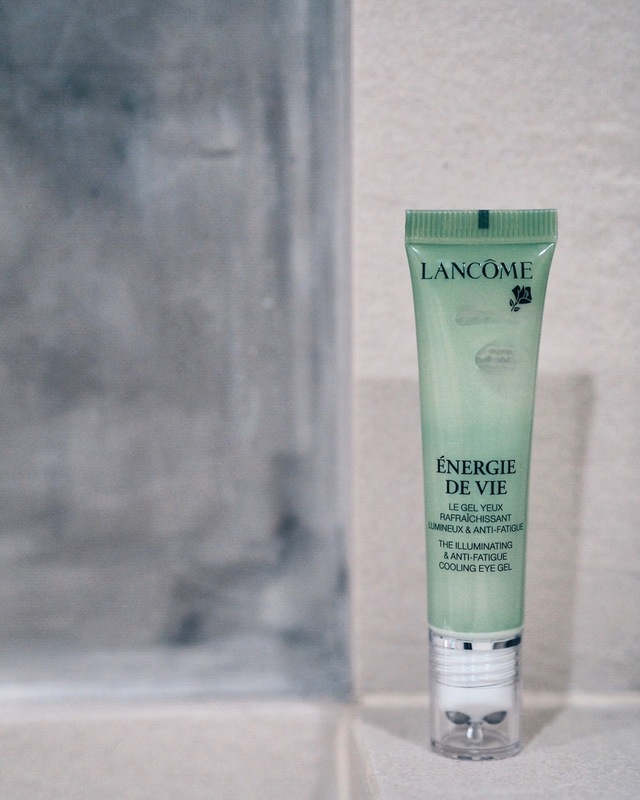 Lucky me got a #prsample of this lovely Lancôme Énergie de Vie eye gel* which acts cooling and hydrating and is just the perfect addition to my morning skincare routine. Including caffeine and anti-oxidants it quickly helps reduce puffiness and dark circles. I fell in love with the applicator, a triple steel rollerball, which cooles instantly and gives you a fresh start in the morning. Big thumbs up for this! Really helps against first wrinkles and does a perfect job against dryness in the eye area. Dry brushing has become a major must for me these days. It helps circulation and acts against orange-peel. Who doesn’t want that perfect smooth skin in summer? I am using the MIO Body Brush daily before showering. Which brings me to THE essential: Soap. 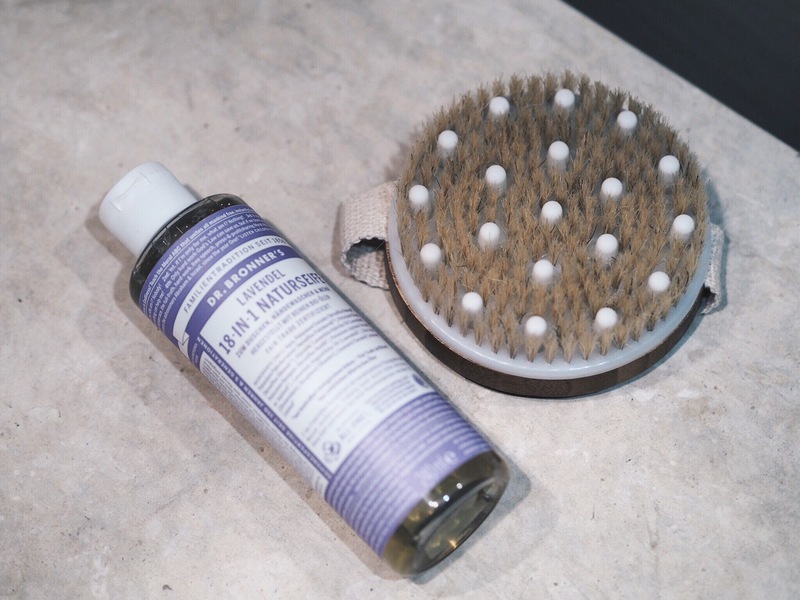 You all know Dr. Bronner’s 18-in-1 Natural Soap. It does the job so well it is my preferred version on vacation, because I can also use it to wash my make-up brushes. They have a travel size at most natural cosmetic stores so make sure to stock up on this little wonder. I love the lavender version because it reminds me a lot of the smell in my grandma’s garden. Total relax. Never ever going without these three: Nail polish (red preferably), a little concealer against spots and a good mascara. No, not even on the beach, at the pool or wherever. I’d be lying if I told you I went totally barefaced in summer. A little concealer helps reduce irregularities in my skin tone and mascara is definitely always a must for opening up those eyes. 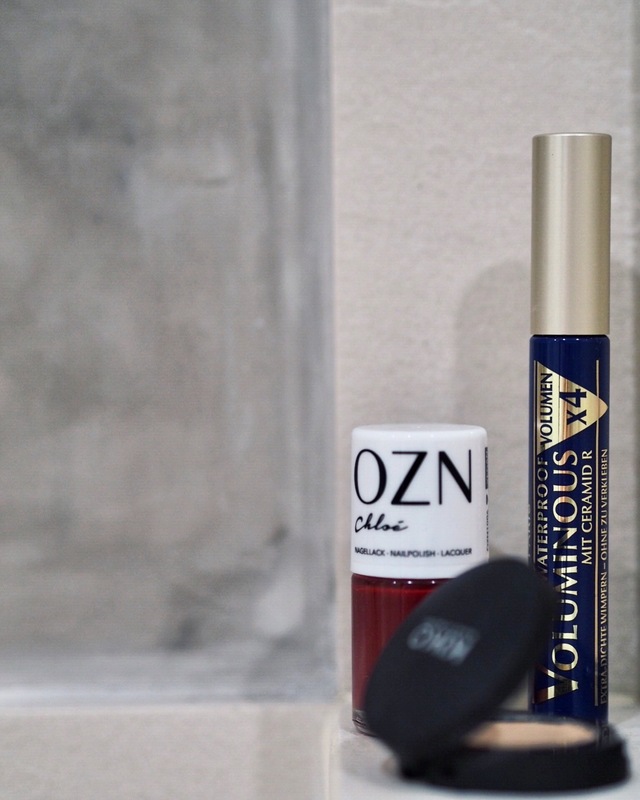 Three go-to products are: L’Oreal’s hyped VOLUMINOUS mascara (waterproof version, definitely worth the hype); KIKO’s FULL COVERAGE CONCEALER and last but not least Chloé by OZN, a medium cherry red which is easily applicable and vegan. Love the brand! I am convinced that red nails are the cherry on top of every outfit. Let me introduce you to my NEW summer scent: Jo Malone’s Wild Bluebell Cologne. It is fresh and flowery yet delicate and is loved by both the Mister and me. 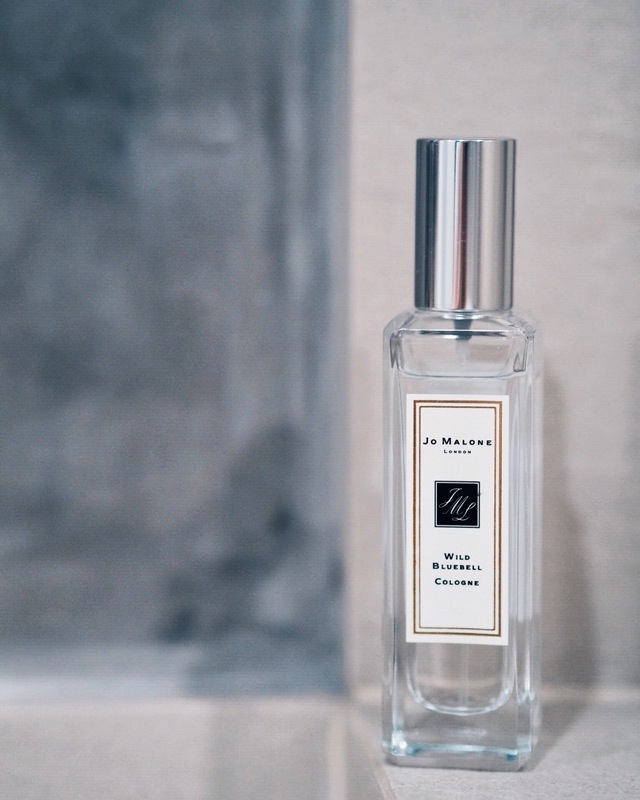 On Jo Malone’s website it is described as: “Vibrant sapphire blooms in a shaded woodland. The delicate sweetness of dewy bluebells suffused with lily of the valley and eglantine, and a luscious twist of persimmon. Mesmerising.” Ok, you got me, Jo – LOVE at first SMELL. Which beauty essentials complete your holiday? Please let me know, always up for cool new stuff to try! *This post includes #prsamples marked with an asterisk. Many thanks to Flaconi and Lancôme for keeping my eye game strong! 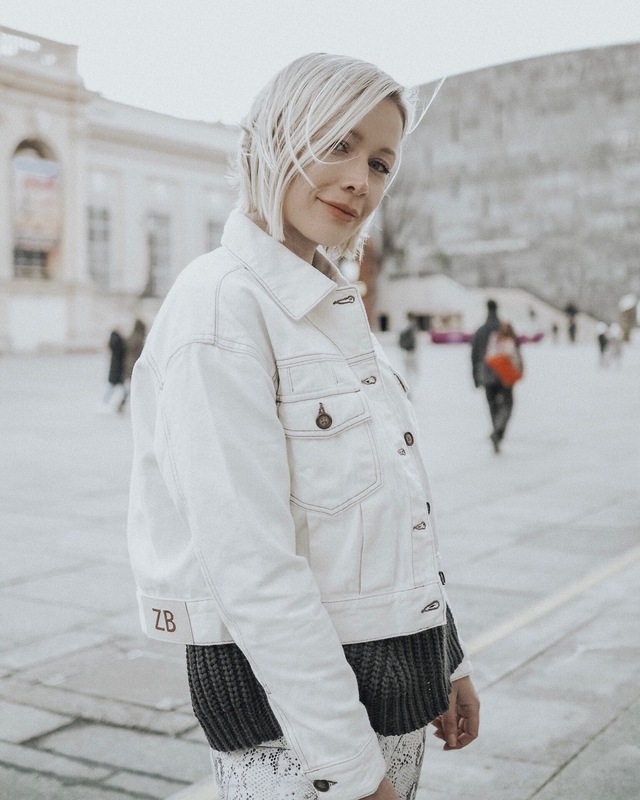 Denim trends: All white or what! ?